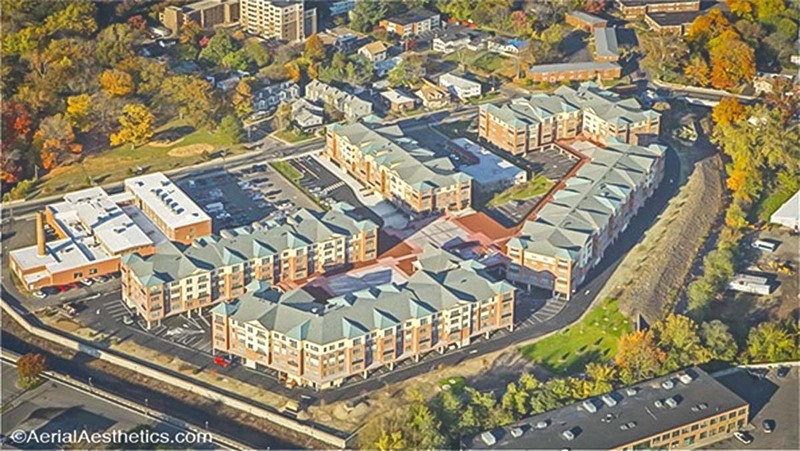 Capstone Building Corp. was the general contractor for this 295 unit, market rate rental apartment project. Five four-story wood frame apartment buildings and a single story clubhouse sit atop a single one-story cast in place concrete parking garage. Landscaping and decorative walkways fill the deck spaces between the buildings. The façades are 25% Hardiplank® and 75% thin brick. Unit finishes include carpeted floors, ceramic tub surrounds, white on white appliances and laminated counter tops on wood cabinetry. Occupancy of the first building occurred during June 2007.